This limited time sale expired… If you missed, know also that this book is part of “Kindle Unlimited”…. TOR (the publisher) has a monthly ebook freebie as well, but unlike Kindle First and the Samsung App Store freebie, it does not last the whole month. 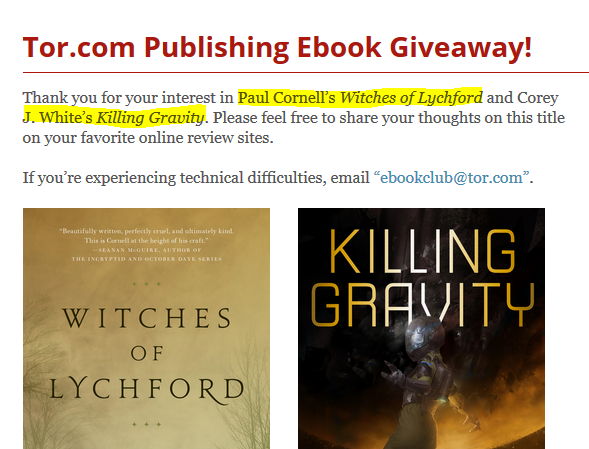 You usually have about a week to claim it once the giveaway goes live at the TOR ebook club page. You have to enter your email and it is only available in US and Canada. You can then download the ebook for FREE without any DRM in the ePUB (almost everything else) and MOBI (Kindle devices). The book for June 2017 is a space-based science fiction classic, John Scalzi’s “Old Man’s War”. Get it! Even if you have the Kindle version, since this will let you read it anywhere DRM-free! With this show not being able on any streaming services (I’m guessing it must be some kind of a rights issue? ), it is hard to find it on DVD at a reasonable price. Which is why this is a exciting if you want to buy/watch this underrated scifi TV series. Syfy’s (then Sci-Fi) “Space Above and Beyond” lasted one season (back then it was 24 episodes, that’s like two seasons of today’s shows) and did not get renewed. It has ahead of its time in the more PoV-style realism that became a lot more popular after Ronald D. Moore’s “Battlestar Galactica”. Anyway, to cut a long story short, the DVD set for Season 1 is available in “Used – Good” condition for $20 with free shipping by the Goodwill of Seattle through Amazon Warehouse Deals. This will ship directly from Seattle, so it is not Prime eligible. But everyone gets free shipping regardless of Prime status. The March 2017 Tor e-Book Freebie is READY! If you like to read FREE and DRM-free e-books, you have until March 13 in 2017 to scoop up the March 2017 freebie from Tor. The free book given away this month at their Monthly e-Book Club is “Shadow & Claw” by Gene Wolfe. You have to enter your email for this. After that you can download the book in ePUB (everybody else) and MOBI (Kindle). You can download both versions, you don’t have to select one of each. Good until February 7 (2017), you can get the ebook “The Bloodline Feud” for FREE in DRM-free ePUB and .mobi by signing up for the Tor emailing list at the Tor eBook Club. They offer a new ebook every month, but the catch is that you have to claim it within the first week of them. Unlike Kindle First which runs for the whole month. PS: if you are already signed up for their emails, page further down on the download page and look for the “Already Registered?” section. You enter your email (the one you used to sign-up for the list) and then you get the download options. A great deal on one of the classic science-fiction books, the Kindle edition ofJoe Haldeman’s “The Forever War” is on sale for a limited time for just a quarter, that’s right $0.25, at amazon.com. This is a limited time promotion, but I do not know when it expires. It is a 294 page book. At this price, it is really a must-have for your digital reading collection! If you like to watch movies online or through your favorite streaming box or mobile device, and you like to digitally-own the TV Seasons, and you like scifi and fantasy, we have good news for you! For a limited time only, Vudu is offering the first season of 21 TV Shows for $10 per season. This is in full HD. 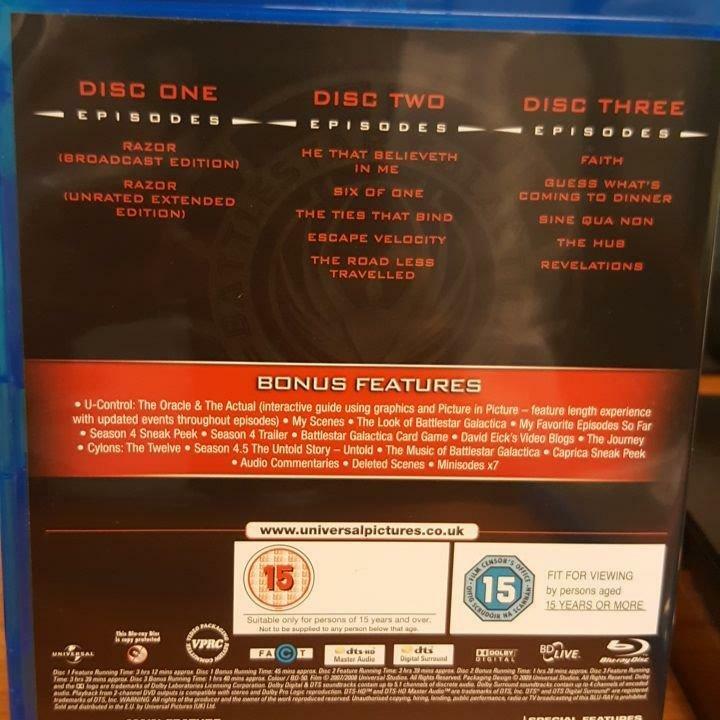 It is a mix of current and classic TV shows, all of them season 1, including Syfy’s “12 Monkeys” and “Killjoys” and MTV’s Shannanara, and Season 1A of Starz’s Outlander, along with classics like the rebooted Doctor Who (Christopher Eccleston), Fringe, Babylon 5, Farscape, and more. PS: I do not know when this offer expires. The scifi TV series “Space Above and Beyond” was a bit ahead of its time, back in the era 20+ episode seasons without the necessary budget. For whatever reason, it cannot be found on any of the major streaming services in the USA, which has kept the prices of its DVDs higher than other TV shows that are streamable. If you don’t want to pay new condition prices [currently $40] for it, you can get it for $19~ shipped in “Used – Very Good” condition by Go Hastings through Amazon. This ships directly from GoHastings, so you can’t avoid the shipping fee even if you are a Prime member. This ships from Texas. NOTE: there’s another seller offering it for a similar price but that one ships from the UK and it’s probably Region 2. So pay attention to who the actual seller is over there before buying! PS: it’s one and only season had a total of 24 episodes (with the pilot included) ~ see EpGuides for details.